Pull up cloth nappy now available. 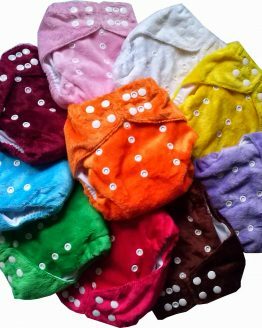 For active babies that won’t stay still long enough to be changed these pull up cloth nappies are perfect. Unlike some of the other pull-ups on the market, this is an actual cloth nappy, rather than training pants. These pull-ups can be used as a full time nappy. Later on when your little one is toilet training, then simply put in fewer inserts to contain any accidents. The nappy comes with bamboo charcoal and microfibre inserts as standard. For nighttime use, we would suggest that you add some of our hemp or swap the inserts for bamboo prefolds. The cloth nappies are side snapping, with three snaps at each side to give you the choice of pulling up and down or unsnapping to undo. To use as pull-ups simply remember which snap setting you will need for your child and snap closed before putting on. 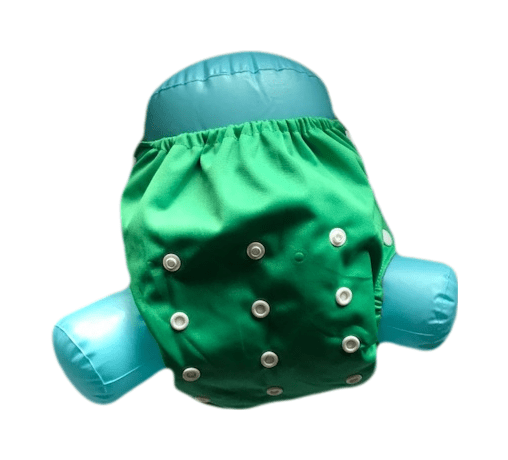 The pull up cloth nappy is a pocket nappy style, and they are made in a range of four different pul colours. Currently available in a choice of red, blue, green and purple. 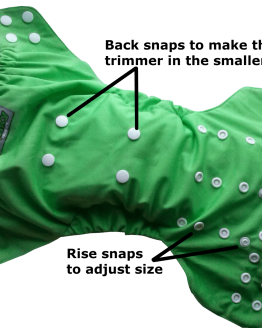 Each nappy features wide gussets at the leg, to help protect against leaks. Lined with a charcoal bamboo microfleece stay dry layer, to help skin stay dry as it allows moisture through into the insert but doesn’t allow the liquid back against the skin so that it feels dry. Comes with one microfibre and one bamboo charcoal insert. Features snaps to adjust size, to fit a range of different sizes. This is a one size fits most nappy. On its largest setting, these should fit to around 16-17 kg. We are looking at adding a larger size of this type of nappy in coming months.